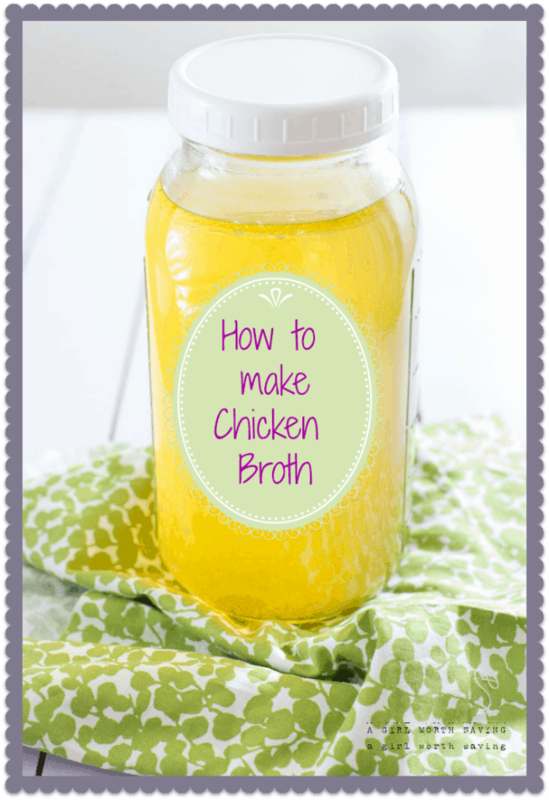 How to make Chicken Broth the Easy Way! Again, this is simple. 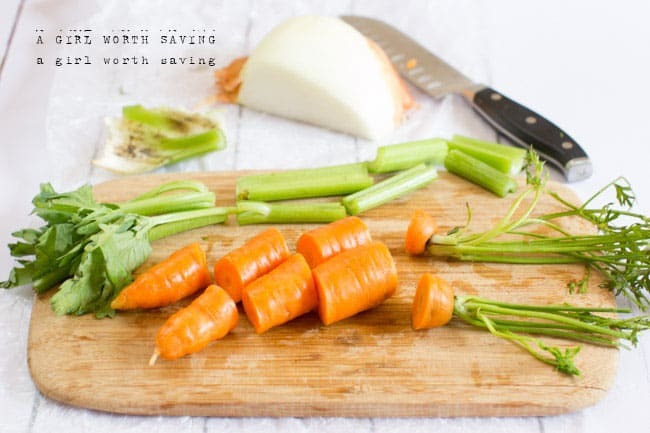 Simply rough chop your veggies and throw into the slow cooker with all the ingredients. Cook on low for 8 hours. Strain through your cheesecloth into pint jars. Store in the freezer. 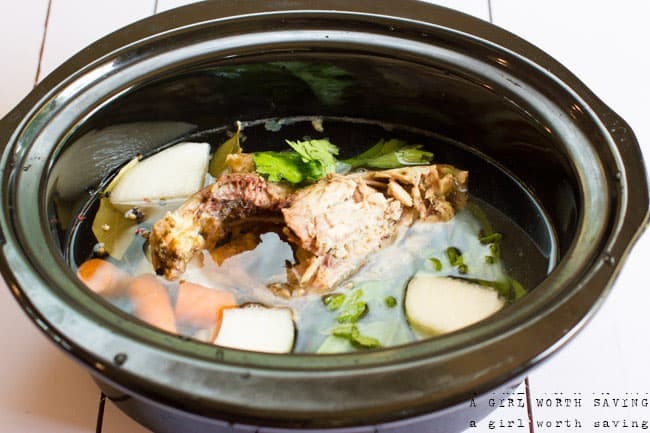 Place all your ingredients in the slow cooker and cook on low for 8 hours. Strain with cheesecloth into your pint jars. That’s so neat! I just Pinned this because I think that even I could do that. 😉 Really, I love this. Thanks for sharing. So simple. I’ve never made broth in the slow cooker, but you have inspired me to do so! I got to the end and I was like, wait. That’s it? I can do this, K, I can! 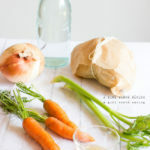 This is very similar to the method I use – the only real difference in mine is that I also add parsley stalks (there is more flavour in the stalks of parsley than in the leaves). And once I strain out the bones, I store the broth and put the bones straight back in the slow cooker with more veggies, water and vinegar and get a second (all be it less tasty, but just as mineral rich) batch. I have managed to get 3 batches out of a chicken on occasion before the bones were so soft that they were falling apart. The flavour gets progressively less the more you cook it, but it still jells, so I must still be extracting some goodness from those bones. And the fact the bones are going soft and crumbly must mean that I am extracting all the minerals out of them. That’s an awesome tip! I usually compost it after one cycle but I’ll try that the next time I make broth. In the past, I’ve left the broth simmering for longer than 8 hours and it’s too strong for my tastes, even watered down. Your tip completely fixes this problem! 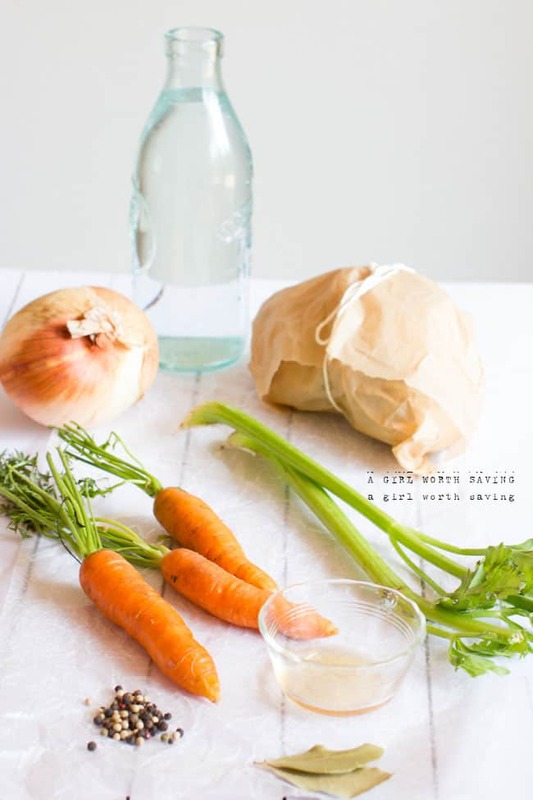 I LOVE making my own chicken broth! I make a big batch of chicken and veggie broth. So easy to make! I use wide mouth Ball. I’ve found that when I leave a large gap at least 2″ from the top and don’t tighten the lid all the way down, my pint jars don’t’ crack. I tighten the lids after they are frozen solid. This looks really easy! I love anything in the slow cooker too! Hmm – pinning for future use! I’m wondering if I can can it – I’ll google it. Many Thanks!